“Walk like you have somewhere to go,” a pastor told a young Lucille O’Neal, who generally slumped to hide her height and her insecurities. Most teen girls would likewise be embarrassed of their six feet and two inch tall bodies; and while America is thankful for this woman’s height, since it helped produce the seven foot one Shaquille O’Neal, it took Lucille many decades to become comfortable in her own skin. Can you relate? Perhaps it is not your height that keeps your shoulders slumped over; maybe you were not taken from your mother and reared by well intentioned but overbearing grandparents, but all of us have something in our life that keeps us from being the whole person God created us to be. Along the way, however, we can learn from people who have forged their own path, and this auto biography details one such person. 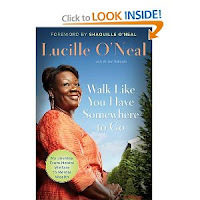 Lucille O’Neal chronicled her life story now, towards the end of her famous son’s illustrious career, because she felt it was the right time, and because she is more than the mother of a superstar, though “Mother” is a title she wears proudly. Her story is interesting, though neither excessively tragic nor sublimely good; her life had trials, though they are common enough; her perspective is refreshing, though simple. The most striking aspect of Lucille to me is her no nonsense parenting: She knew where her kids were, what they were up to, whom they associated with, and how they were behaving at all times. If one of them got out of line, she handled it. She was neither overly strict nor easily fooled, and she majored on the majors: Education, respect, propriety, character, service. If you are looking for a deep, complex, stimulating read, this is not it. But if you are curious, as I was, as to who could have reared Shaquille O’Neal, and if you are a woman or a parent looking to hear a story about someone who persevered, this is the story for you. In Jr. High I wrote an editorial on Magic Johnson, the year he was told he had HIV. My favorite sweats in High School were yellow and purple, and my current favorite athlete is Derek Fisher. 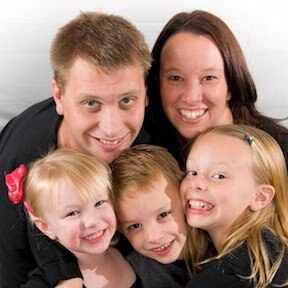 Like my husband, I am a long time Lakers fan, yet I never had a strong impression of Shaquille O’Neal. I neither loved him nor hated him...I only thought of him as the massive powerhouse who helped the Lakers win games and who later clashed with Kobe. Reading his mother’s book, my opinion has changed, and for the better. She tells of the Shaquille (she NEVER calls him Shaq, ever) who worked diligently through family crises and military moves to be the superstar he is. She tells of the young man who promised to finish college when he left in his junior year for the NBA, and fulfilled that promise, plus earned a Master’s Degree. She tells of the Shaquille who has managed his stardom and money with exceptional wisdom and grace. And after discussing those details with my husband last night, my view of this giant of a man has elevated. He is, by all accounts, someone who kept his roots while soaring at heights few of us can fathom. He handled instant fame, riches, and notoriety better than most, and has championed service, education, and being a true role model. If for no other reason, I am thankful to have read this book and gained a more genuine perspective of Shaquille O’Neal. **I received this book for free from Sneezebooks. My opinions are my own and I am not compensated other than the free book.